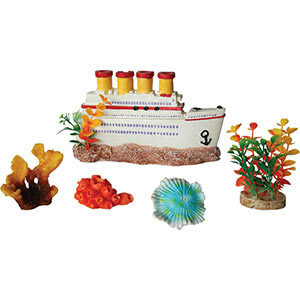 An attractive full colour boxed 5 piece decorative aquarium ornament set by Aqua Spectra. 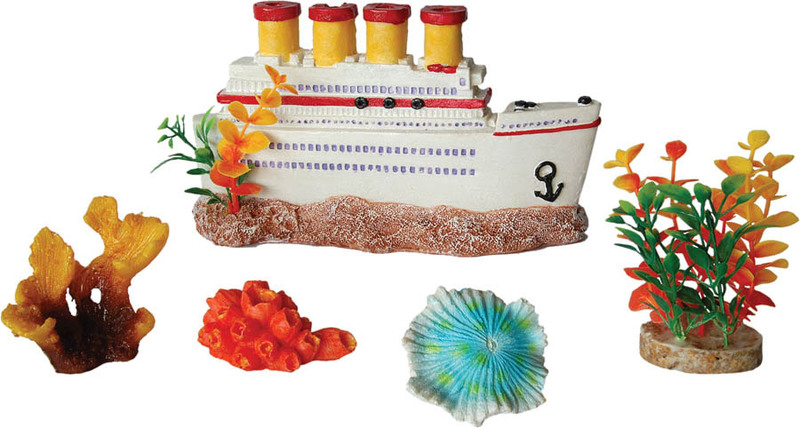 This set includes 4 realistic polyresin models and 1 plastic plant with heavy gravel base. The larger main model has a connector for an airpump to provide a steady stream of bubbles.